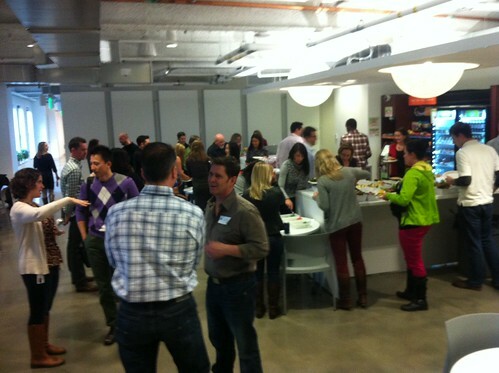 How was your networking event? Did you meet any new friends, build any new connections? More importantly, did you remember to stay active on social media while you were there? The reason why I ask is because now it’s the final stage of your networking event, it’s over, and you want to remember to follow up and stay connected. Follow up with the cause and the people; Stay connected with anyone new.This is important, especially if you want to grow your visibility and grow your network online. So how do you do that? How do you follow up and stay connected in order to grow your visibility and network? There are things you can do on FB to help you stay connected with members of the event. Friend anyone you met at the event. If you want to grow your network and keep your connections then you should really keep them in your FB community. Message your new friends. If you met someone who you want to exchange tips or ideas with, then ask them ask for coffee over FB. Or you can just say hi, as a friendly gesture. Upload any pictures you took at the event. This will give others a chance to connect with you, especially if they were at the event too. Let’s face it people love to look at photos, especially photos involving them. The same goes for videos, upload any videos that you have taken. Tag your photos. Tag anyone who was at the event in your photos. This will bond you together and get people to remember that you were there with them. It’s easy to stay connected via Twitter. Follow anyone you met during the event. This will grow your following and grow your connections. Send out a tweet to anyone you met during the event. Or anyone you didn’t meet but wish to have met. This will keep you talking and grow your relationship. Tweet about the event that you have just attended, by using the event hashtag, to let everyone know about your wonderful experience. This will make it easier for other members of the event to find you via Twitter. Try to incorporate any photos in your tweet and make sure to use the event hashtag. The more you use the event hashtag, even after the event is over, the easier it will be for other members of the event to find you and potentially follow you. You can also send out a @Vsnap to your new followers. This will make it a more personal experience and people will be more likely to remember you. Linked In help you to stay professionally connected. Search for the profiles any of your new connects and get connected with them on LinkedIn. Send a message to your new connects and let them know that it was pleasure meeting them. If you really enjoyed their company, ask them out for coffee to discuss ideas. If you received any business card, which I’m sure you have, use CardMunch to take a photo of the card. CardMunch allows you to take this photo and instantly search and find a LinkedIn profile to match it. You can create a new group and invite any of your new connection to join. This will keep you connected and interacting with members from the event. Suggest your LinkedIn connection to one another. It’s always nice to introduce people to one another, just like you do during the event. Google+ is one of the easiest ways to stay connected, and share photos and videos with other event members. Create an album and upload all the photos that you took from the event to your profile. This will give your followers a sense of who you are and what you do. You can also upload these albums and photos to the Google+ event page. Which is probably best because you can stay connected and share with all the members who attended. The same goes for videos. It’s probably best to upload them on the Google+ event page. Create a circle. Add your new connects from the event, so that you can stay acquainted and re-introduce everyone to one another. Start a hang out. 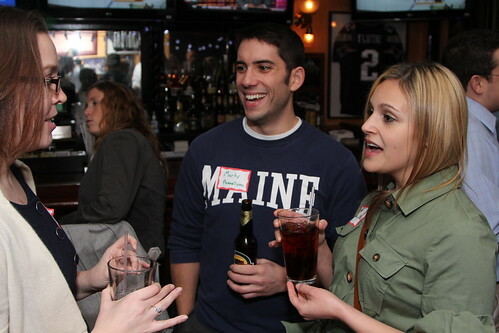 Gather up some friends and get an online networking event going. Just to rekindle your bond. Blog posts can help you gain visibility and credibility. Write a thorough review on the event and highlight all the great things and people throughout the night. Mention specific people in your post. This wil generate more readers which is more important than just writing it. Ask questions in your blogs and encourage comments and questions. It’s not only important for your post to get readers, but it’s also important for you to feedback. This will boost your visibility and credibility. Upload any photos. This will help you generate more traffic, because who doesn’t like to look at photos? The same goes for your videos. So just because the event is over, doesn’t mean you can’t still stay connected. Just by simply posting how your event went with pictures, videos and content, or just by simply sending out a quick “nice to meet you,” can quickly grow your following and visibility online. And that’s important because the more your following grows, the more that boosts your credibility and likeliness. So that’s that. That’s the final stage to better networking! However, if you want to learn more on how to better network online before, during and after an event, and if you are interested in learning more tips and resources make sure to signup for the upcoming Networking 2.0 Book and subscribe to this blog.